We hope you’ve saved room because we’ve cooked up some mouth-watering Wonders just for you! It’s time to dig in at the Wonder Farmer’s Market! Building Wonderocity sure does work up an appetite. Why Does Swiss Cheese Have Holes in it? What Do Astronauts Eat in Space? Be sure to take a bite out of some food Wonders at the Wonder Farmer's Market. Can you build a marble run with celery and other pantry items? Get creative! What can you find in your pantry? Gather all your materials. Be creative. Get a parent to help you cut the celery. Wash the individual stalks under cold running water to remove any dirt and debris, then trim off the large white section off of the bottom of each stalk. Cut the top and remove leaves. Sketch out your design on a piece of paper. Will you tape your design to a wall, have it freestanding, or maybe put it inside of a cardboard box or lid? Try to have your marble run go in at least two directions. Watch videos or look at photos online for inspiration. Experiment with different ways to make the marbles go where you want them. 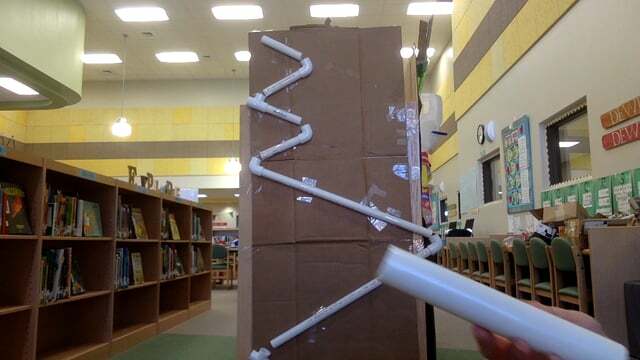 Make the marble run as simple or complex as you want. Test as you go to adjust angles. Looking for a challenge? Add special elements like chutes or windmills. Have fun building as a engineer and maybe save some celery for a snack too! What materials worked well? What was difficult about building a marble run? What other materials would you like to try working with? How could you expand on your marble run even more? This Maker activity is all about gravity. Gravity pulls objects back toward earth, so depending on how you angle your track, your marble will go faster or slower. If your marble got stuck, it might have been because your track was too flat. The more you increase the slope of your track, the more speed the marble picks up as gravity pulls the marble back toward the ground. Try experimenting with other objects that roll. How did those objects work? Take videos and share them on the Wonder Wall! This activity was provided by Leonard Reed Elementary School in Cedar Park, Texas. 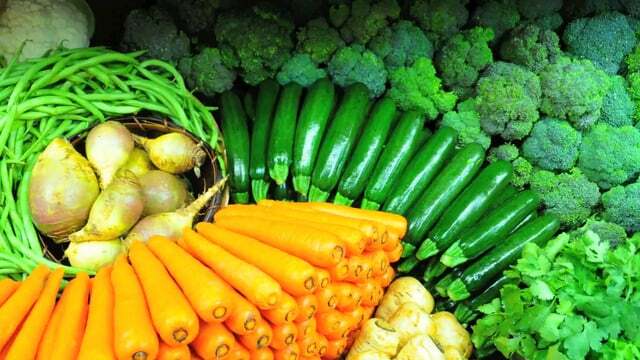 Mad Delicious: The Science of Making Healthy Food Taste Amazing!